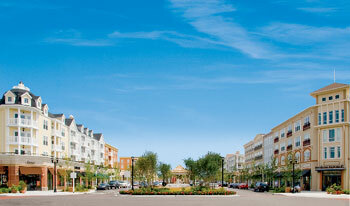 The Market Common is a shopping and dining destination like none other in the Myrtle Beach area. Surrounded by 29 acres of landscaped parks, lakes, jogging trails and a public square, it's the newest and most exceptional gathering place on the Grand Strand. Along its attractively designed avenues, you'll find everything from one-of-a-kind shops and restaurants like P.F. Chang's to some of the nation's most celebrated names in retail like Pottery Barn, Anthropologie, and Ann Taylor in addition to the most comfortable movie theater at the beach, Grand 14 Cinema. Throughout the year, The Market Common is home to a whole series of special events and family-oriented activities that make it a perfect place to hang out, stroll around, window shop, pick up something special, catch a movie or grab a great lunch or dinner. If you haven't discovered The Market Common yet, it's time to add a new favorite to your list of things to do in Myrtle Beach.